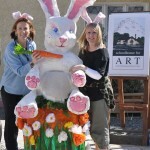 A large human sized rabbit has arrived in Enniskerry Village just in time for Easter! 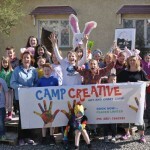 This installation was created by the Children attending “Camp Creative” Easter Arts and Crafts camp being held at the School House for Art. 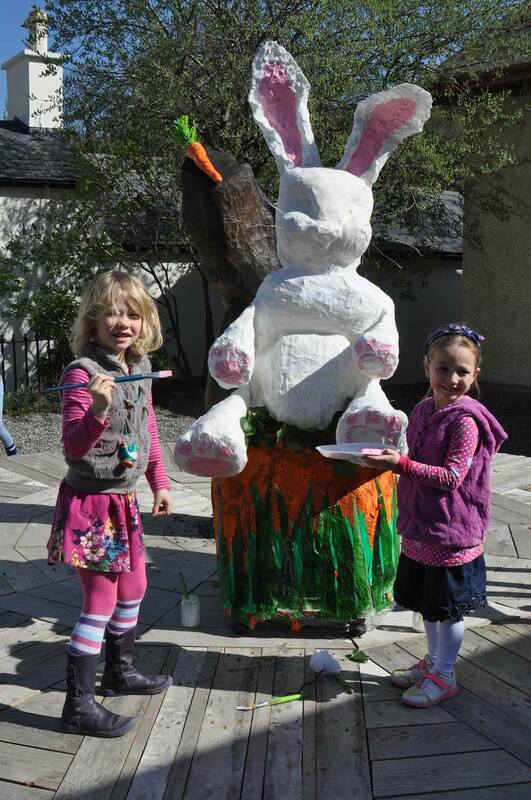 The children aged between 5 and 13 years, learned skills in wire moulding, paper mache, painting and drawing, perspective and balance to create the rabbit – who has been nicknamed Ernie The Enniskerry Easter Bunny. 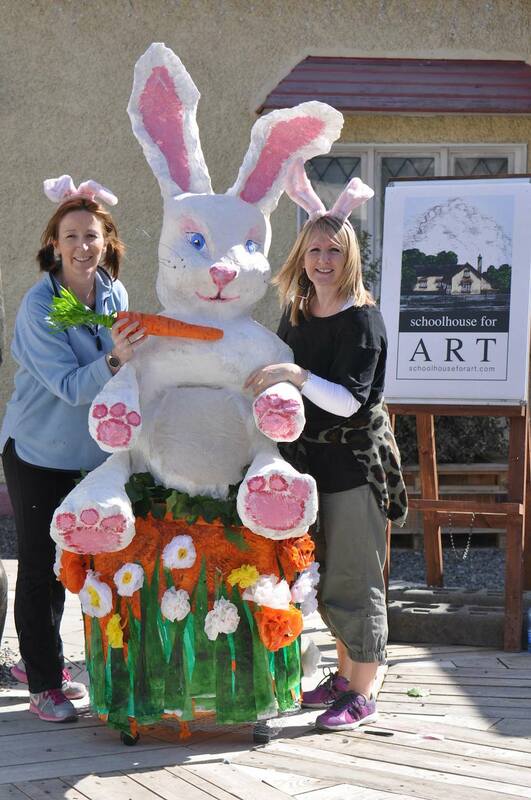 He will be on display daily through the Easter Period at the Front of the School House. 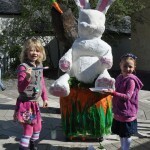 He is worth getting to know! 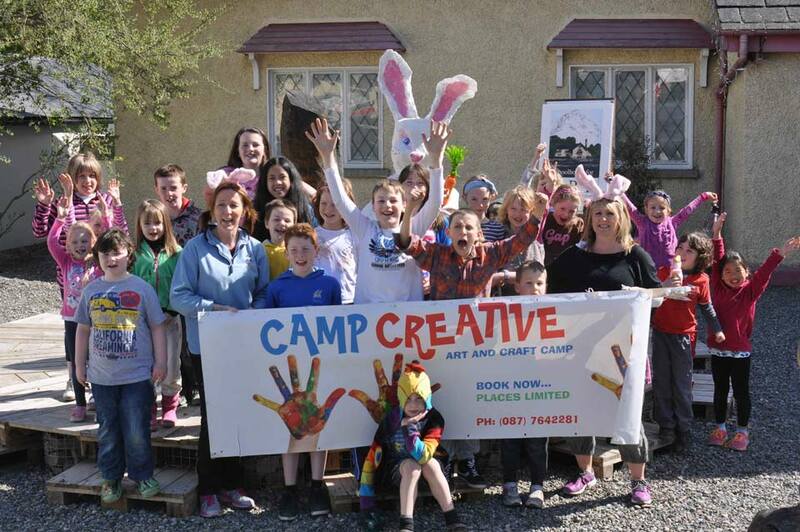 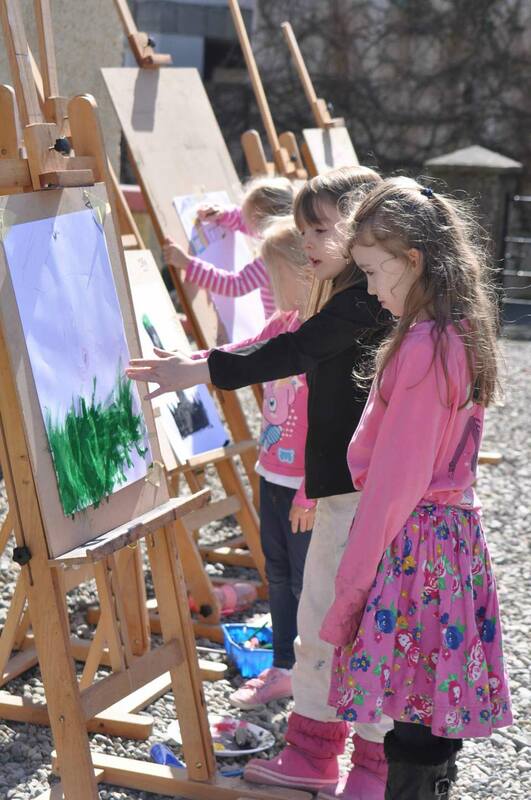 The Organisers of Camp Creative and a team of village volunteers are heading the Enniskerry Art Fest 2014 to be held the weekend of May 17th and 18th. 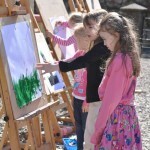 The Enniskerry Art Fest 2014 is part 1 of the Enniskerry Fun Fest 2014 series of Festivals, the food festival will be held in July, the renowned Victorian field day in September and a literary festival in October, the year will close with the Christmas festival at the end of November. 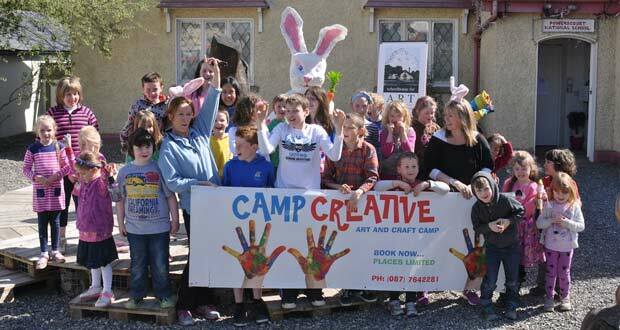 The Art Fest will open on Friday evening the 16th of May with a children’s Art Expo to correspond with National Drawing Day and National Biodiversity week, the weekend will have be filled with events for all the family, Art treasure hunts, face painting, Artist will be demonstrating their talents in wood carving, life drawing and the walls and railings of the village will have exhibitions and works.